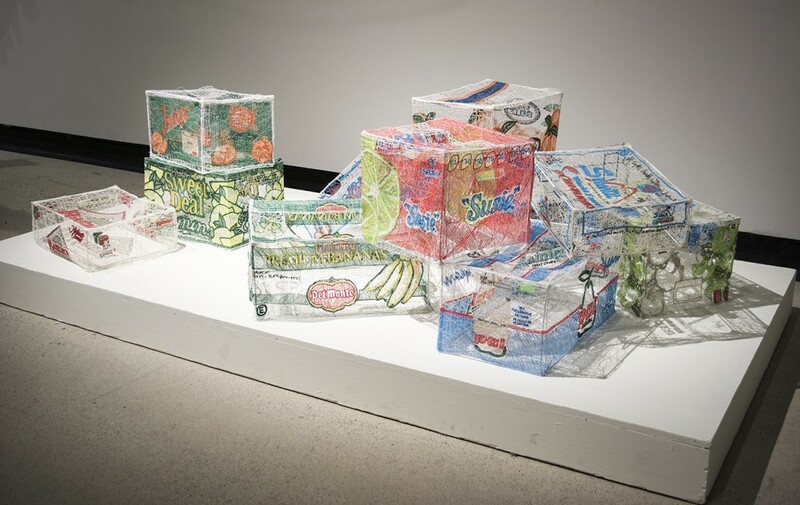 My new piece “Fruit Boxes” is part of the exhibition Naked Craft curated by Dr. Sandra Alfoldy, Dr. Juliette MacDonald, Emma Quin, Arno Verhoeven and Denis Longchamps. 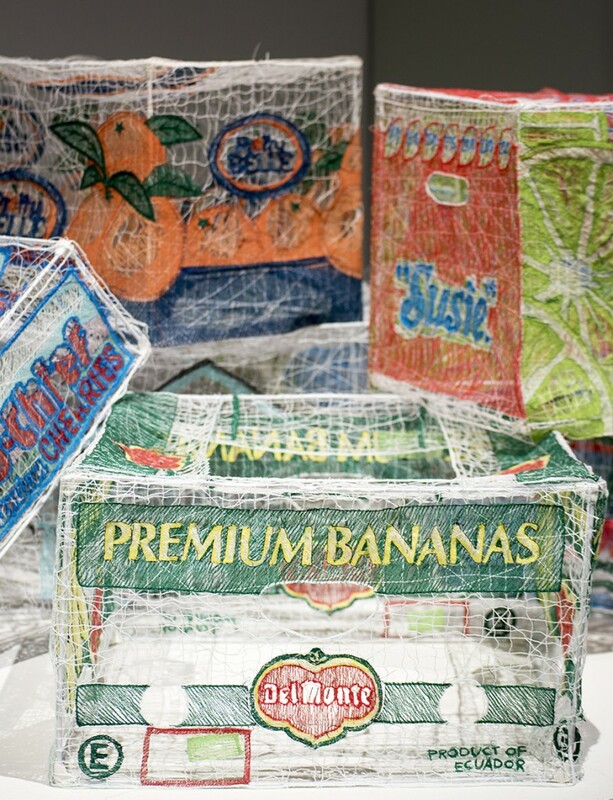 The Naked Craft exhibition strips ideas of craft back down to four sub-themes that bridge the past and the present, Old Scotland and New Scotland, traditional and changing ideas. This project provides a novel and timely approach to issues of production and consumption of craft from a range of historical and contemporary perspectives. 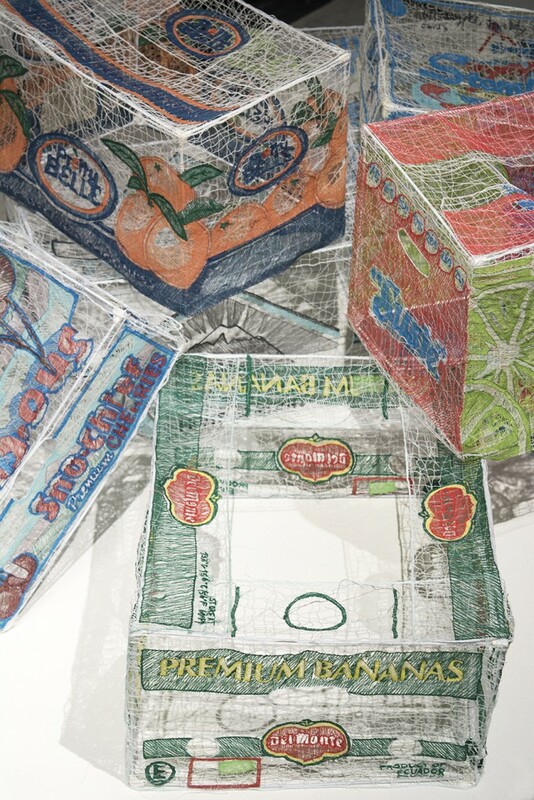 Fruit Boxes is framed within the “Do-It Yourself” Category and is a series of embroidered boxes that are based on my cardboard moving boxes from when I moved from Toronto to Philadelphia.